Russia has four different seasons such as winter, summer, autumn, and spring. going there in different time of year will result in different experience, Why? Cultural event in Russia is depending on the time and season. Obviously, you wouldn’t hold harvest festival in winter, it will be held in the spring season instead. Now, every season had its perks. Whether you go to Russia in the autumn season, or you may go in the winter season. Indonesia only had two seasons such as dry season and rainy season, which have almost the same climate as summer and autumn. So for Indonesian people that want to go to Russia and feel their different in season, I suggest you go in Autumn or Winter season. Well, if I had to choose, coming in winter season probably is the best choice for Indonesian people, why? Christmas event is being held at December which means the start of winter. And for that reason, you will feel the festive mood at every place in Russia. In addition, Indonesia didn’t have snow rain and you could feel it during your stay in Russia in the winter season. The city didn’t where Mr, Sun didn’t visit in the period of winter. 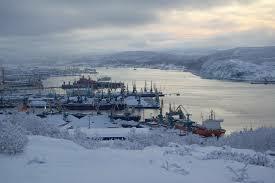 If you want to feel the harsh cold winter, there is nothing better than Murmansk, why? Well, the first reason is because the sun doesn’t rise for 40 days in winter. Now, could you imagine what it feels like when its winter and in addition, you don’t have Mr. Sun to make it warm. and because Murmansk is near the artic, the cold will be really freezing. Going to Yakutsk which known as one of the coldest city in Russian need preparation, why? Yakutsk is one of the coldest city in Russia. Yakutsk people confront cold weather as part of their life. Also, the inhabitant in the cities reaches about 300.000 inhabitants which is surprising when you think about the harsh climate. At average temperatures of –30 degrees Celsius and you plan to travel to Yakutsk wrap yourself in a scarf. By the way, if you never eat horse meat, you could also find it here. The climate in Dikson is harsher than in Murmansk. Black polar night, below zero temperature, could be felt as early as September. The snow melts in June which is seem as eternal winter. Quite often than not, strong blizzards that turn into tornadoes occur in Dikson. Locals say the dog could even start flying if caught in the storm. Wingardium Leviosa? Despite the almost eternal winter, Dikson is known as the most beautiful villages in Siberia. It is the place where you can stand on the edge of the icy Arctic, enjoy the scenic Kara Sea, see Belukha whales, walruses, and lastly Aurora. As opposed to Murmansk where there is no sun, in Dikson the sky are bright and distinct. A small town with few inhabitants. this town also had what its seem like eternal winter which is why it known as the coldest places in the earth. Yes, Oymyakon is called “The Pole of Cold” because the temperature here could drop to −89.2 °C. But if you dare to go here which I dont suggest you, the choice is still yours to make. While its true they have a cold degree of temperature, they also give you the best seat to see and enjoy most freezing experiences. and also you could also travel there using an airplane as Oymyakon is near Yakutsk. Although Kola peninsular couldn’t give you anything which you could find in another region. Lush forest, Mountains with many trees, that’s everything Kola Peninsular didn’t have in addition to have much less undeveloped facilities. What you could see in Kola is 180° different, such as endless tundra, mountains covered with moss, coasts of the White Sea and the Barents Sea and the pure untouched nature of the Russian North. On Kola Peninsular there is a wide choice of activities in the outside. You could choose from riding sleighs drawn by husky dogs, expeditions on snowmobiles and finding out about the traditions of the local Sami people. To top it off, Kola Peninsular also offer you if you are lucky with aurora making your trip there worthwhile. The Kola peninsular usually cover it lands with a snow from November until May which is why I include it in 6 everlasting winter destination in Russia. Different from other town listed above, Irkutsk have much more facilities for tourist and although the temperature is still harsh. You could enjoy winter in Lake Baikal, see the sculpture gallery, and enjoy the theater there. interesting to note although Irkutsk has a harsh winter, people and tourist still come. The number one reason is to enjoy Lake Baikal during the winter season. From late January to the end of April it’s your best time to go sightseeing to Lake Baikal. Because the water in the lake is frozen solid, you could do some ice fishing and ice skating in the top of the water. Although Irkutsk also one of the towns in Siberia region, it still didn’t give you the cold degree like places listed above. But winter is still winter, the temperature there could drop below −49.7 °C. Well, its called winter for a reason. Now that I have listed 6 Everlasting Winter Destination in Russia, some of them look unbearably cold, and need more preparation before going there. The important things are whether you go and want to enjoy the places, is to stay safe. don’t force yourself to go to harsh places like Oymyakon if you are weak to cold. but if you still want to enjoy the everlasting winter you could still go to Irkutsk or Kola Peninsular. Many cities that not listed above also provide you with interesting experiences, for example St. Petersburg. The places listed above is for someone who and already experience cold places and want to have a bit of adventure in their travel. People seeking comfortable places to go, shouldn’t go to Russia in cold winter in the first place. the cold is harsh and you will not get an enjoyable experience.